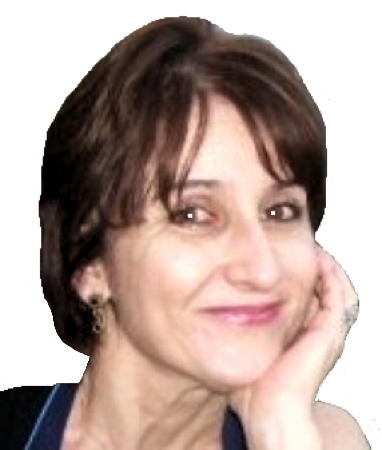 Information: Larisa M. Lucaci, teacher of Romanian dances. Larisa M. Lucaci (née Moruzeanu) grew up in Cetatea Albă, or White Fortress, in Bessarabia (now called Moldova, a part of the Ukraine). She attended the Universitatea din Bucureşti in Bucareşti. At the university, she joined two Romanian dance groups, Alunelul and the Vera Cirotea Group under the direction of Vera Proca Ciortea where she learned many of the Romanian dances she later presented. Larisa earned a Ph.D. from the University of Vienna, Faculty of Anthropology and Folklore. In 1947, she began post-doctoral study in education at the University of Michigan in Ann Arbor. Larisa was asked to teach at Delta State Teachers College in Cleveland, Mississippi. In 1948, she moved to Detroit, Michigan, where she participated in international folk dancing at the International Institute where she heard about Michael and Mary Ann Herman's Community Folk Dance Center in New York City. She went to New York and visited the Hermans who invited her to teach at the center. She worked with the Hermans to spread Romanian dances to folk dancers. In 1949, she met and married Peter Lucaci, who grew up in Suceava, Romania, before coming to the United States. They had two children, Larisa and George. In 1950, the family moved to Cleveland, Ohio, where Peter edited "America" Romania News, a newspaper for the American Romanian community. Larisa taught Romanian dances to Romanian children, taught French and Russian for gifted children, and introduced the Foreign Language in Elementary School (FLES) program to the Cleveland Public Schools. In 1954, The Hermans invited Larisa to teach at their Maine Folk Dance Camp. In 1955, she taught at the Oglebay Institute Folk Dance Camp in West Virginia. In 1966, she presented Romanian dances at the Santa Barbara Folk Dance Conference in Santa Barbara, California. Larisa took the 1930s book (by her teacher) Manual de Dansuri Nationale (al. L. Dobrescu, Craiova, Romania. Scrisul Românesc) to Frank Richko and His Romanian Romani Orchestra with whom she worked to establish the correct tempos and sequences and produced on Michael Herman's Folk Dancer label a series of ten Romanian folk dances: Alunelul, Brâul lui Zbârcea, Ca la Uşa Cortului, Ciocârlanul, Dura, Hora de la Balţa, Jianu, Marioara, Ţărăncuţa, and Zdroboleanca. Larisa had a weekly television show on WJW on ethnic culture. She had the first demonstration classroom in the United States as a pioneer in FLES (Foreign Language in the Elementary School) and was a teacher of gifted and talented children in the Cleveland Public Schools' Major Work program. She also was a Russian professor at Western Reserve University. In 1987, after 30 years of full-time teaching, she retired to devote more time to her watercolors, Chinese brush painting, and pen-and-ink drawing. Lisa passed away on June 10, 2015 following her husband's death.